In the mid- to late-1980s, I spent a lot of time at the West Los Angeles Veterans Affairs campus. I used to watch the sunsets from a sixth floor balcony outside a chapel in the main hospital. It was very peaceful. Sometimes, I put my arms on top of the railing, got up on my tiptoes, and looked over the edge. It had been over 10 years since I had returned from Vietnam, but post-traumatic stress disorder had turned my world upside-down; I was completely isolated and homeless. On that balcony, I often thought about how easy it would be to jump. The thought of giving up entered my mind so many times. Vietnam veterans have the highest suicide rate of any other group of Americans. As a Marine, you’re taken down to nothing and built up again as a killing machine. After serving our country, many of us were just released back into society with all these intrusive thoughts and all this anger. I could have given up or isolated myself—that’s what the PTSD monster wanted. In the end, I didn’t make that choice. As close as I got to suicide, and as many times as PTSD overwhelmed me just when it seemed like I was making progress, I chose to fight the hardest battle of my life. And I made it out alive. I can see now it was the little things that gave me the strength to keep going. When I was living out of my Pinto station wagon, I never strayed far from the VA grounds. That is where I felt most comfortable. One day in 1984, I found Jackie Robinson Stadium, where the UCLA Bruins played baseball. I have always loved baseball. I was in Little League and grew up going to the Los Angeles Dodgers games. I’d go to the baseball field when no one was there to pray in the bleachers or the dugout. Sometimes I lay down in deep center field and smelled the fresh-cut grass. Being out there with the high fence behind me, I felt safe. Then, one day when I was heading to the stadium, I heard bats cracking and balls hitting gloves. The Bruins were there for practice. I crawled through the fence and saw this guy in a blue-and-gold uniform picking up balls inside the batting cage. I probably looked more like a doctor than a homeless veteran—I had a volunteer job in the VA’s physical therapy department, so I wore a badge over my shirt and tie. The guy looked up and said hi. I asked if he wanted help picking up the balls. “Sure!” he said. I started putting them in a bucket. Then he picked up a bat and started throwing balls up into the air and hitting them. I said, “Wow, you have a nice swing. Hey, do you want me to toss you some balls?” Again he said, “Sure!” I took my tie off, rolled up my sleeves, and started pitching him balls. I met some of the other Bruin players that day—a few of them went on to play in the Big Leagues. The high point of that experience though, was meeting “The Skipper” (Gary Adams, UCLA’s head coach). We hit it off. I became part of the team that day—an honorary Bruin! 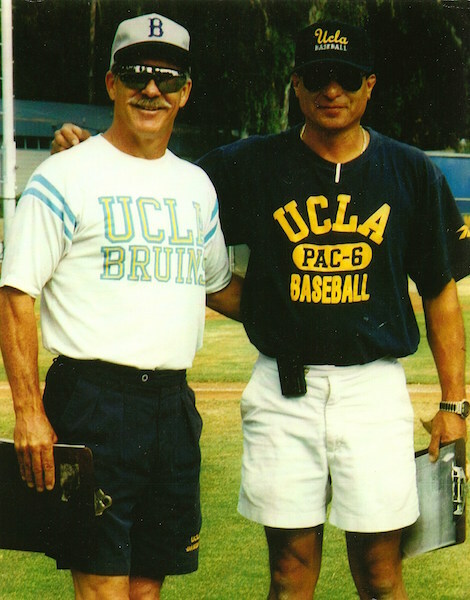 I also became a coach for his UCLA baseball camp. That was the beginning of a special lifelong friendship that I cherish to this day. I started going to the baseball field every day after I finished my volunteer work to help with batting practice and the players’ gear. My back had been so locked up from spending almost a year in bed and from my arthritis. So it was good for my body to be working out. It was also good for my spirit. Baseball was one of the tools that I believe God used to help integrate me back into society. It felt safe and familiar, and it was fun. Even though I have a hard time with crowds, I liked going to the Bruin games. For me, a baseball game is like going to church. 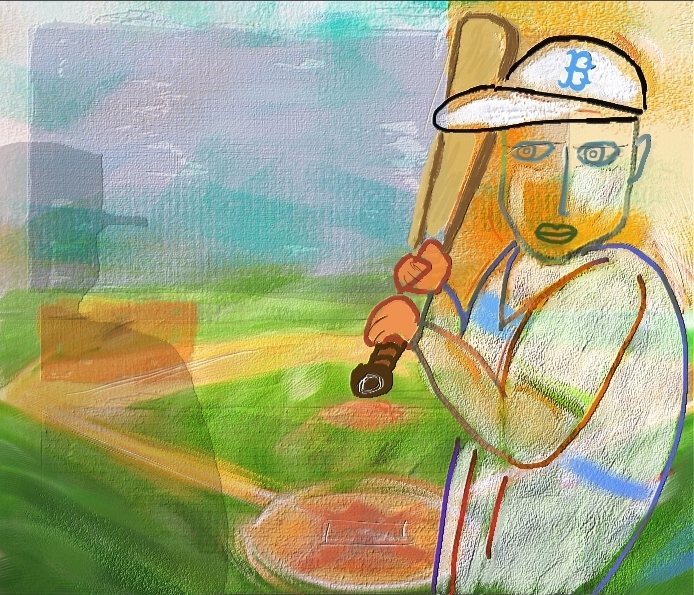 Coach Gary and his Bruins were my therapists, and baseball was my best therapy. The days started to begin in a different way. I would wake up and thank God for a new day. I would avoid all stressors. I would not let any negative thought play over and over in my mind. I learned to laugh. I learned to appreciate God’s creation and beauty. I would soak up the warmth of the sun. I would not complain about my pain. I had a new attitude, and with the feeling that things were finally starting to go right for me, I started to be more open. Deep down, I knew I still needed medical help, so in 1988—after four years of being homeless—I jumped at the opportunity to go to the VA in Palo Alto, California, for a six-month inpatient program for combat veterans with PTSD. It was an intense program that was all about cleansing, acceptance, and rebuilding yourself. Sometimes I was so overwhelmed when I reflected on my past. Thanks to my fellow veterans, I got through those tough times. The Palo Alto VA had a wall of success stories and photos—guys who left and got a job and a place to stay. They were heroes to me. That’s what I wanted. I felt as if I had the tools I needed to finally get my life back on track. Others saw the progress, too. Five months into the Palo Alto program, my sister and her husband offered me a job at an air freight trucking company they were starting in L.A. County. This was my chance to get back into mainstream society—to be a success story and make it onto that wall. So, in 1988, I got a studio apartment in Inglewood. I had a kitchenette, a little room, and a balcony. It was nice to be out of the elements and to have a job and a home. I put all my energy into helping to build the company with my sister and brother-in-law. By 1990, our business had picked up. I moved to a nicer apartment in Manhattan Beach. My life at that time was work, go home, and repeat. It was 20 years after Vietnam by now, and I still sometimes had a hard time feeling comfortable with people. Then Operation Desert Storm threw everything out of gear. I drove a truck, transporting laser guidance systems used on U.S. military jets in the war. I hung my Marine Corps flag in the cab of my truck. I thought: Wow. I was trained at 18 by the U.S. government to be a combat tactical driver—and I’m doing it again. It felt good to be serving my country again. But it was a crazy schedule. Sometimes I worked 20 hours a day, making pickups at the airport and deliveries to the Barstow Marine Corps Logistics Base. I was proud, but I was getting beat up. I wasn’t 18 anymore. Plus, I started watching the news. Somewhere in the combination of not eating right, pushing my body to the limit, and seeing the body count and devastation of war on TV—I snapped. The adrenaline was full throttle. I started to flashback to the combat zone. I knew I needed help. So I went to the West Los Angeles VA for a month. The doctors put me on mild tranquilizers, sleeping pills, and antidepressants. The end of the war didn’t make me feel any better. There were no more shipments to deliver. I remember thinking: Now what? It was almost the same feeling of emptiness I had when I came back from Vietnam. As a veteran, it can be hard to find a job that doesn’t feel trivial and meaningless compared to your military job assignments. I think this is a major reason why there is so much homelessness and suicide among veterans. It’s the emptiness … the void. I went in and out of the VA hospital again for a few months. It was a fine line between feeling pretty good and losing it. Within a matter of months, I was on top of the world and the next thing I knew I was on the ground, feeling like I did not have the strength to carry on. But I kept that promise I made to God … I would not quit. After I was discharged from the VA hospital, I couldn’t go back to the Manhattan Beach apartment. My friend Norman—who had worked for our trucking company and was a fellow Marine and brother to me—found out I was staying in a hotel near the airport. He came to visit me and suggested I rent the trailer on his mom’s property in exchange for help around the house. This was another miracle for me. It was a nice, comfortable little trailer. And Norman’s mother, Maria, ended up becoming my loving and understanding wife. We moved to San Antonio, Texas, in August of 2000 and live a pretty quiet life. Maria has been my pillar of strength. I’ve worked hard to chisel away at the wall I built around my feelings. It has not been easy, but Maria has stood by my side. We travel whenever we can—this summer, we put over 20,000 miles on our Suburban. We like to sit in our garden, sometimes for hours, watching the hawks fly overhead and taking in the peaceful stillness of the morning. 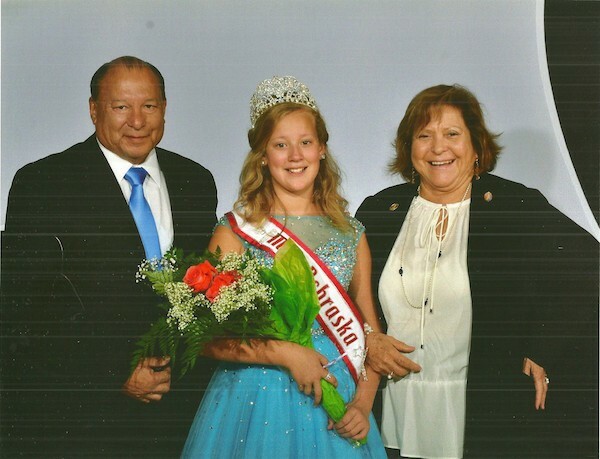 Our greatest joy is our family, and watching our beautiful grandchildren play baseball, participate in beauty pageants, and graduate from school. I want to experience everything I can with them, like coloring sessions, trips to the beach to collect seashells, dancing and laughing together, and holidays. It has been 45 years now since I returned from Vietnam. I feel better, but I am still grappling with my PTSD. I still have a difficult time sleeping and find myself doing perimeter watch. In a corner outside of my house, I set up a bunker with military-issue olive drab sand bags. I go there to calm myself, on war anniversary days, every Memorial Day, or whenever I feel the anxiety reaching the threshold. As soon as I’m settled in, I feel safe. I meditate, reflect, and give thanks to God. I’ve survived a few wars, and I feel that the worst is behind me now. I am alive and grateful. I look forward to growing old with Maria, and filling our life together with joyful chapters. Someday I want to hold my great-grandchild. On that day, with a tear in my eye, I will thank God for every miracle … There have been so many! It’s hard for me to read that 22 veterans commit suicide every day. But if there’s one lesson I’ve learned from everything I’ve been through—and I especially want to it share with my fellow veterans—it’s that healing from trauma can take years, but there is so much hope in gratitude and forgiveness. This essay is part three of The War I Never Stopped Fighting, a three-part project of Zócalo Public Square. *Lead image by Scarlett Freund. Interior photos courtesy of Rick Martinez.